There are more than 30 species of scorpions found in Arizona. 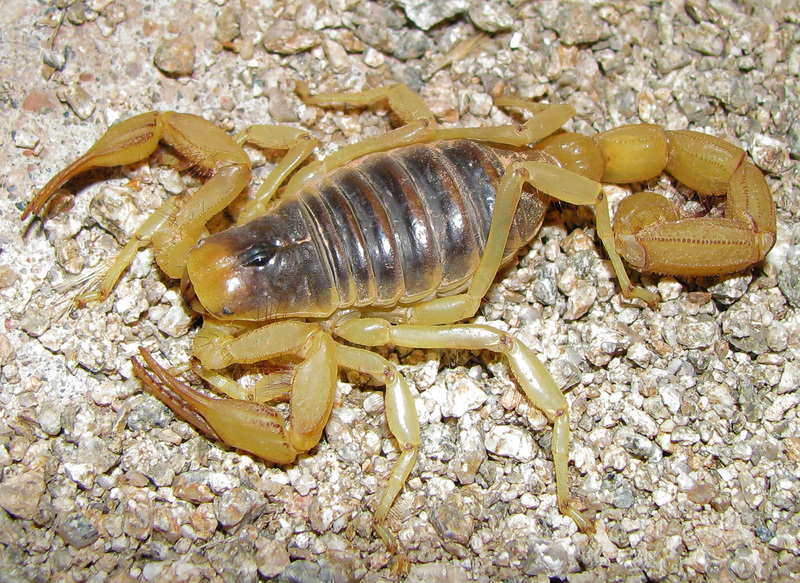 Most common in the Phoenix area is the Bark Scorpion (Centruroides exilicauda) which also happens to be the most venomous and only lethal scorpion in Arizona. The sting of the Bark Scorpion is can be fatal to young children, the elderly and those who are allergic to the venom. Thankfully there has not been a scorpion related death reported in Arizona since the 60's. Scorpions are often found in the desert, although there are many urban habitats that are attractive to the scorpion. Scorpions are often found near mountains, buttes and the outskirts where there has been little urbanization. New construction can cause scorpions to move from there habitat this explains why homes adjacent to new construction often find themselves infested. A water source such as a lake or canal will attract prey for scorpions. If you experience trouble focusing eyes, random eye movements, trouble swallowing, drooling, tongue feels swollen, slurred speech, dizziness, blurry vision or muscle twitching call Poison Control at (800) 362-0101 or (602) 253-3334 and proceed to the nearest emergency room. These symptoms should only occur if you are stung by a Arizona Bark Scorpion or are allergic to the venom of the scorpion. Always play it safe because even though death caused by scorpion stings are extremely rare they can occur.